My first memory as a child born at the end of WW2, was of playing mainly in our streets and neighbouring streets. I was still very small, but I do remember the barrage balloons still flying high in the sky, floating gently on the breeze, and we would lie on the ground and watch them. It was many years before I realised what they actually were, which was a large balloon anchored to the ground by cables and often with netting suspended from it, serving as an obstacle to low-flying enemy aircraft. We would play among bricks wood rubble, stones large slate roof tiles and broken water pipes, in a site at the end of our street. The reason for all the rubbish was because it was a bombed site. A house, like the ones in our street had once stood there but no more. We had adventures in those bomb sites especially with the broken water pipes. What young child can resist playing with water? Especially if you can make dams and ponds with all the available stones bricks and wood. It was a sad day when the water was eventually turned off. We also knew not to play in a bomb site with tape around it, as that likely contained an unexploded bomb. There were parks in Plymouth, but because of the massive damage caused by bombs dropping on this Royal Naval city, these had still not been cleared of the debris and were dangerous. When I started school, at three years of age that same rubble was negotiated as we walked over it to get to the school building and again, when I was 11 and starting at the ‘big school’ – the same one my mum had gone too – there were still signs of war damage. Shortages of everything was acute. Years later we had no books in our school. The teacher had one for each subject, which he or she would read aloud to us and then pass it around. We had paper pen and ink, but no copy books to write on, only a sheet of paper. Later, copy books were issued when I was about 14. School was OK, but all the teachers were old and not very interested in anything new and certainly they did not catch my interest but I did love History, Geography and reading. English comprehension writing and spelling were favourites too. Sums were completely beyond me, and nobody cared to go over it again if I got lost, or to take the time to explain anything. There were about 45 children in each class so on reflection, there must not have been much time to explain everything again, but just to get the lesson over with. Re-building our country was a long time coming It was the early 1950’s before the clearing of bomb sites even began, and I grew up in the 60’s watching our city being completely razed and then rebuilt. Below are newspaper cuttings that my Gramps saved during the war and gave to me for a project I had to write for school about our ancient city. They show Plymouth before and after the blitz, and were the kind of bombed sites I played in as a child. These two photos show Plymouth City Centre before, in 1939 and after an enemy raid in 1942. I find the captions very interesting. Credit given for photos from ‘The Plymouth Evening Herald’ Plymouth, Devon UK. My Gran told me that her mother Lilian, did not like her very much and was not very nice to her, and consequentially for some peculiar reason Lilian did not like my mother or me, either. I remember Lilian as a very stern presence so I steered clear of her. She did live with my Gran for a time, but by the time I was a teen, she had moved to another daughter’s house to live, so I never had much contact with her. 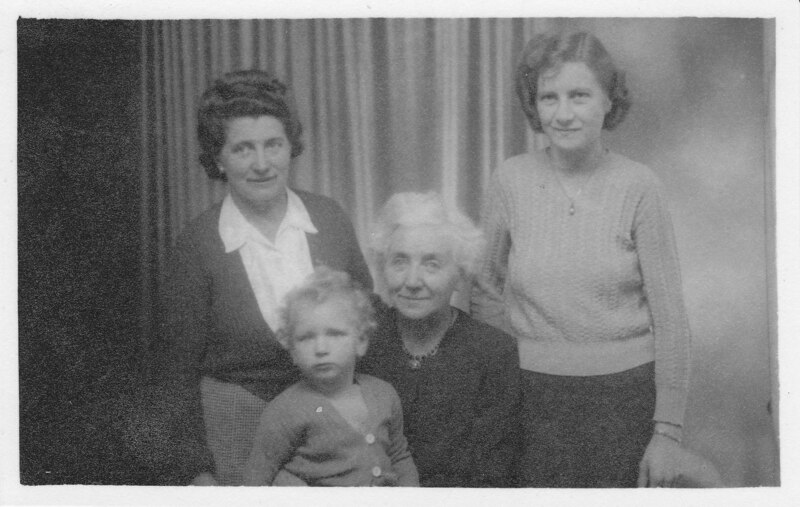 A photo below shows the four generations myself, Gran Mum and Lilian and I do not look very happy to be in this photo! When my mother found out she was pregnant with me, 2 years after being married, she told me that Lilian said “Well, you made your bed now you have to sleep in it” Not a very nice thing to say about becoming a Great Grandmother! I never did understand why she did not like us and what she meant by that remark but years later, I was to find out. For a while, I lived with my Grandparents from 11 years to 14 years. They were very strict but loving and Gran and I went everywhere together, to church the church fétes and shopping trips. Gran taught me to cook and bake. One day, Gran wanted to go and see her mother who was living in Okehampton, Devon, a train ride away from us in Plymouth. A train ride, what a treat! I was about 14 and we lived a very quiet life. Off we went, sandwiches and tea packed for the two-hour train journey to visit great-grandmother Lilian. After my Gran’s meeting with her mother lunch with the cousins and visiting, it was time to go. We had the train carriage to ourselves. ‘That was a lovely day, wasn’t it Gran?’ In answer, Gran burst into tears I was astounded, my Gran crying? She never cried. Well! You could have knocked me down with a feather. Gran NEVER swore let alone say THAT word. Eventually, she calmed down and I asked her what she was talking about. She must have been very very upset to divulge her mother’s secret to her young grand-daughter. Apparently, Gran wanted to be baptized in the Church of England, and needed her birth certificate and to eventually claim her Old Age Pension, she also needed this document. That was the purpose of our visit. When Lilian heard that Gran wanted her Birth Certificate SHE burst into tears and said that she hoped she would be dead by the time her secret came out. Then, she had to reveal the reasons why she was so upset. Lilian was by then in her late 80’s and told Gran that she had given birth to her in the Leicestershire work house, because she was an unmarried mother. 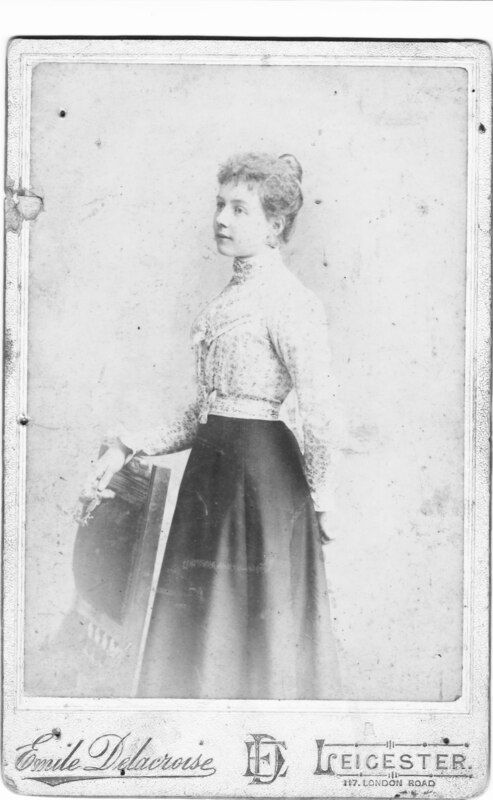 When she received Gran’s birth certificate it had stamped across it, in very large letters the word ‘ILLEGITIMATE’ Lilian had ripped it up and threw it away. Lilian had, like many before and since, become pregnant at 17. 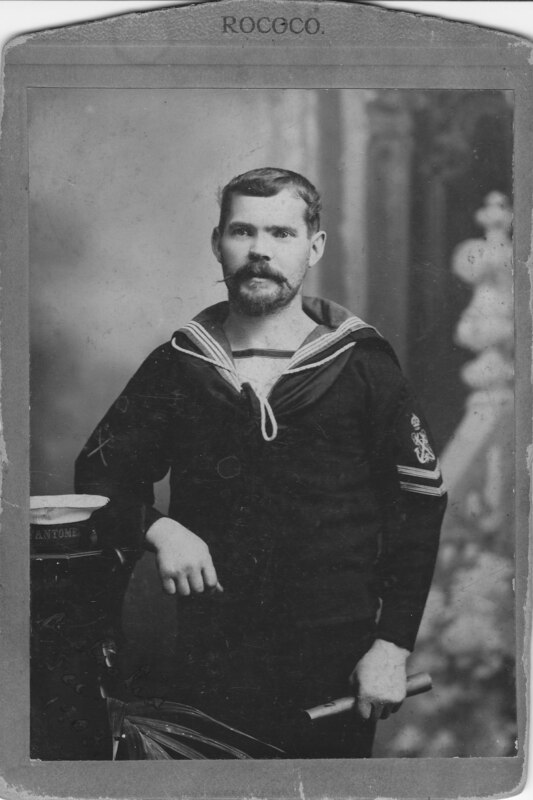 The father Thomas was a Royal Navy Cooper a master carpenter. They met and she became pregnant. My Gran told me years later, that Lilian told her that she ‘fell off the style (or kissing gate) and never got up’ When Thomas did eventually come home from sea, they married. 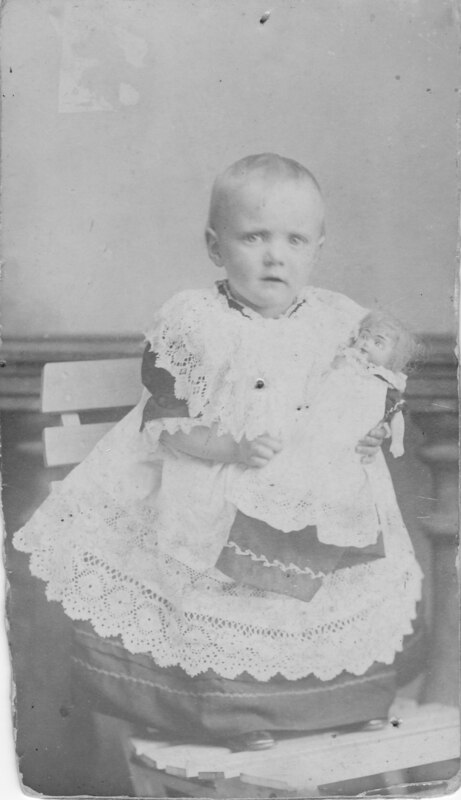 Gran was then three years old so yes, she WAS illegitimate for a while, but the parents had married, just a little late! This seemed to be the reason Lilian did not like my Gran very much and Lilian did show a great deal of resentment towards Gran, my mother and me.